What is the first thing that pops up your mind when someone mentions ‘Honda cars’? Is it the beauty? Luxury? Elegance? Or all of the above? Whether it is a hatchback or sedan or a utility vehicle, Honda cars have always been a synonym to premium wheels. And here comes the all new Honda Jazz – another miracle by Honda cars, exclusively for people who love to ride with style, but hate compromising with the efficiency. With classy interiors and design, the all new Honda Jazz comes in two engine options, the 1.2-litre petrol engine that gives an output of 89 BHP and is tuned for efficiency. It also gives you the option to choose from either a 5-speed manual gearbox or a combination of paddle shifters and CVT. Another engine option is 1.5-litre i-DTEC and puts out the figure of 98 BHP at 200 nm and gets the six-speed manual gearbox. 27.3 km/l, making it India’s one of the most fuel-efficient cars. While the petrol CVT delivers superior 12km/l but is also impressive for a car of this size. 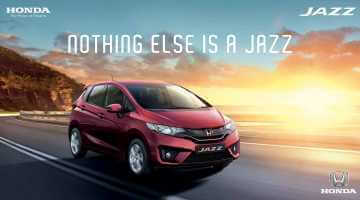 The Honda Jazz showroom price Kannur starts from Rs. 6.01 lakh. The USP of this car is that even after being a hatch, this car offers XXL cabin space. The boot space is large at 354 litres and the rear seats fold in four different ways– call it the magic seats. With that said, this car is spacious, practical, and efficient.